Ramon Martinez Mañez, Scientific Director of Unit 26 of NANBIOSIS, has participated in the development of new nanodevices that allow the controlled release of drugs, namely doxorubicin, for therapies against breast cancer. So far, the work has focused on cellular assays, with positive results, that could open new ways to improve the effectiveness of some drugs used in the treatment of breast cancer. The main novelty of these nanodevices is that the molecule covering the nanodevice not only controls when the transported drugs are released, but also controls where they are released to direct them to cells expressing TLR3, a protein of the innate immune system overexpressed in some cell lines of breast cancer. Through this protein it is also launched a death signal that ends with the tumor cell. 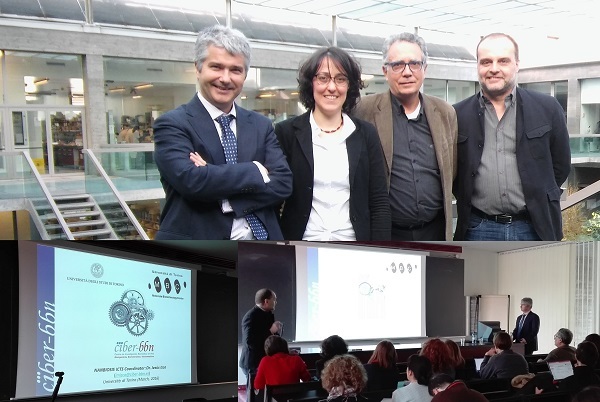 The Scientific Director and the Coordinator of NANBIOSIS, Jaume Veciana and Jesús Izco, were invited by Professor Stefano Geuna (Professor of Human Anatomy at the Department of Clinical and Biological Sciences of the University of Torino) last 9th of March 2016 to present the CIBER-BBN, its scientific program and its technologies to researchers of l’Università di Torino, in order to explore the possibilities of collaboration between the two institutions and promoting joint projects. The meeting took place at the Molecular Biotechnology Center of the Molecular Biotechnology and Health Science department (www.mbc.unito.it/en ). The audience was made up of members representing six departments such as Department of Molecular Biotechnology and Health Sciences, Department of Neurosciences or the Department of Medical Sciences among others. 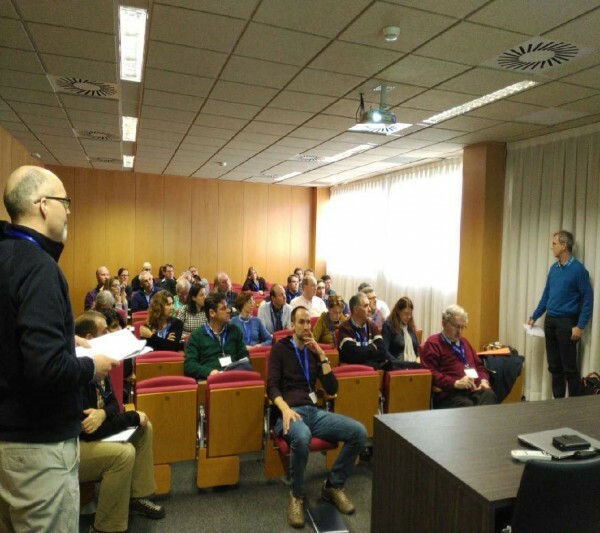 After the presentations, up to ten face to face meetings were organized with research groups and staff of the Internalization Office from different departments to look for synergies and find out ways of collaboration. Topics such as nanoencapsulation for drug delivery, functionalization of biomaterials for regenerative medicine, especially for nerve regeneration or cell therapy for cancer were discussed and many common interests were detected. Following up the meeting, several actions were agreed and some of them have been already initiated to start new collaborations between both institutions. L’Università di Torino is actively developing biotechnologies in the field of biomedical sciences, with specific focus on the study of the molecular mechanisms at the basis of physiopathological processes that have a great impact on human health, such as cardiovascular diseases, inflammation, stem cell biology and cancer. These researches are based on experimental work carried out by the biomedical departments of l’ Università di Torino. Elisabet Prats is a young scientist, researcher at Biomonitoring group of CIBER-BBN and CNM, which coordinates Unit 8 of NANBIOSIS, and a science disseminator with comedian monologues at “Big Van”. 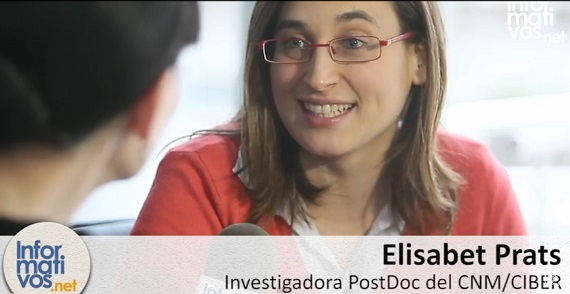 As a science disseminator, Elisabet has recently appeared in media and forums explaining the progress made by her research group in the European project Graphene Flagship. For example, a graphene sensor to detect brain electrical activity, successfully presented at Mobile World Congress. Elisabet clearly explains “We are able to measure the electrical signals of the brain with graphene, graphene due to its versatility, allows the reduction in size of the sensors, giving much more information to the doctor” and describes a future in which “we shall control mechanical arms with brains implants”. 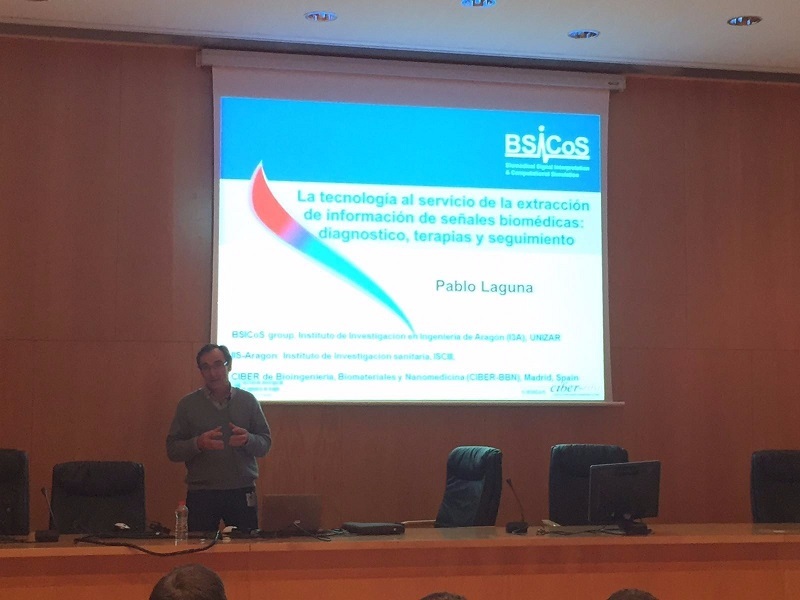 Pablo Laguna, Scientific Director of the Unit 27 of NANBIOSIS, presents in the Neocom Days the research lines of the group Biomedical Signal Interpretation & Computational Simulation (BSICoS) of CIBER-BBN and I3A of University of Zaragoza. NEOCOM DAYS are organized by the Alumni Association of Telecommunications at the University of Zaragoza (AATUZ) in order to gather once a year companies, students and teachers to pool developments in the sector of new technologies in the field of Communications. Recently, the COST Action CA15126 "Between Atom and Cell: Integrating Molecular Biophysics Approaches for Biology and Healthcare (MOBIEU)" has been approved. In this action, the Nanomol Group, coordinator of Unit6 of NANBIOSIS, represented by Imma Ratera has been directly involved being part of the Management Committee. Molecular-scale biophysics is a dynamic and ever-expanding interdisciplinary field that aims to study biological macromolecules and assemblies as a whole, at an intermediate level between atomic-resolution structural descriptions and cellular-level observations (“Between Atom and Cell”), with significant applications in biomedicine and drug discovery. The MOBIEU Action aims to seed a large-scale pan-European interdisciplinary synergistic clustering, allowing to ally and synergize the power of spectroscopic, hydrodynamic, real-time microfluidic, thermodynamic and single-molecule approaches. This novel open network will create an optimal environment for the development of innovative integrative biophysical approaches, at the level of data acquisition, analysis and modelling, as well as for the design of unprecedented and ambitious combinations of methodologies, to decipher more efficiently crucial biological phenomena and to overcome significant biomedical challenges. On March 2, 2016 Esther Pueyo, Tenured Professor at the University of Zaragoza and member of the research group BSICoS of CIBER-BBN, presented the research lines of this group, that coordinates Unit 27 of NANBIOSIS, and described the ERC MODELAGE project, which was awarded with a 'Starting Grant' of the European Union funded with 1.5 million euros. The project progresses in the characterization of human heart aging and the prevention of cardiac arrhythmias. Juan Pablo Martínez, coordinator of the BSICoS group, introduced and moderated the talk, which is incardinated in the series of seminars “Ateneo de la Escuela de Ingeniería y Arquitectura”, where ideas on science, technology, scientific thinking, social and human sciences, etc, are presented and discussed. Current technology allows addressing multi-factorial and multi-scale research of cardiac electrophysiological behavior to improve arrhythmic risk stratification in aged hearts, both on a population basis but also on an individual basis. 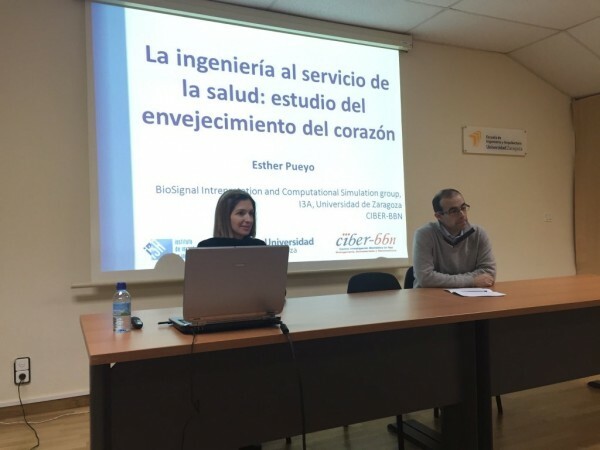 Esther Pueyo presented the methodologies proposed in the MODELAGE project for this purpose, which integrate in silico modeling with in vitro cell and tissue analysis and in vivo assessment of electrocardiographic recordings. All these investigations will be made possible thanks to the computational capabilities of Unit 27 High Performance Computing of NANBIOSIS. 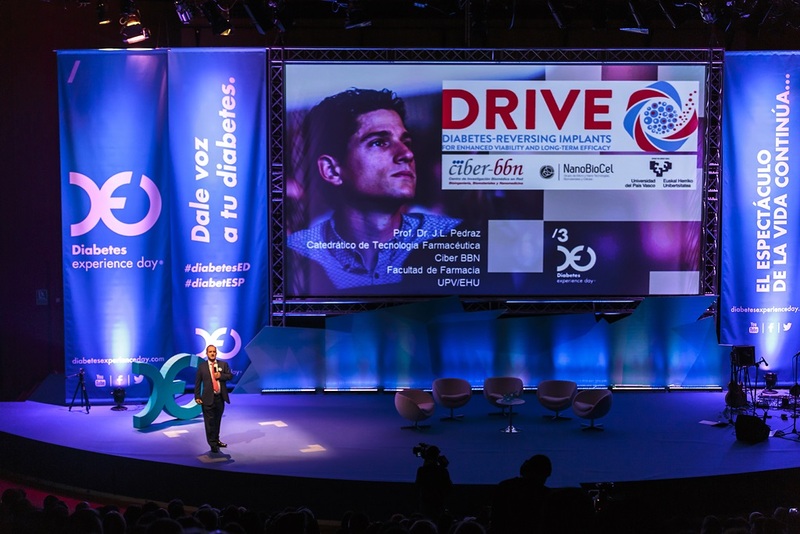 José Luis Pedraz, Scientific Director of the Unit 10: Drug Formulation of NANBIOSIS explained DRIVE European project in the third edition of Diabetes Experience Day, diabetic patients meeting that gathered 1500 people in Madrid. The DRIVE project, in which participate fourteen partners from seven European countries, among which is the CIBER-BBN, develops biomaterials and new surgical devices to improve transplantation and survival of insulin-producing pancreatic islet for the treatment diabetes. The DRIVE project, in which participate fourteen partners from seven European countries, among which is the CIBER-BBN, develops biomaterials and new surgical devices to improve transplantation and survival of insulin-producing pancreatic islet for the treatment diabetes. NANBIOSIS participation in the project focuses on the evaluation of the biocompatibility of new biomaterials with insulin-producing cells. These new biomaterials provided by Contipro will be compared with the biomaterials most frequently used to encapsulate cells such as alginate derivatives, a product obtained from seaweed. At the same time, the research group coordinating Unit 10 of NANBIOSIS work in differentiating IPC insulin producing cells as an alternative to pancreatic islets for use in bioartificial organ source, with the aim of addressing the problems of availability of pancreatic islets for such therapies. DRIVE European project 3rd edition of Diabetes Experience Day.